iRealHousewives | The 411 On American + International Real Housewives: Dolores Catania’s Grandmother Passes Away At Age 104! 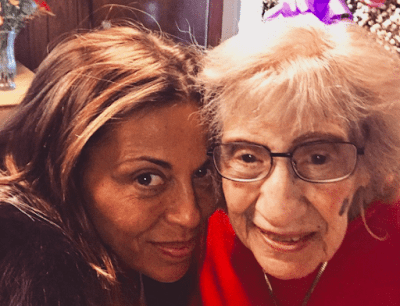 Dolores Catania’s Grandmother Passes Away At Age 104! We are sad to report that Dolores Catania’s grandmother passed away on Wednesday after a tragic heart attack. Elizabeth Spagnola, who made a brief appearance with her granddaughter on The Real Housewives of New Jersey, suffered a heart attack on December 26, 2017. She died the following day. She was 104. Spagnola was born in 1913 and worked as a seamstress in a Paterson “sweatshop.” Her only child, son Lawrence Spagnola, Dolores Catania’s father, became the chief of police in 1997 and she attended the swearing in ceremony. Funeral services were being arranged by the family. Our thoughts and prayers are with Dolores and her family during this difficult time.